Sometimes the fashion world creates something so hideous, so absolutely repulsive to the human eye, that it cannot be ignored. 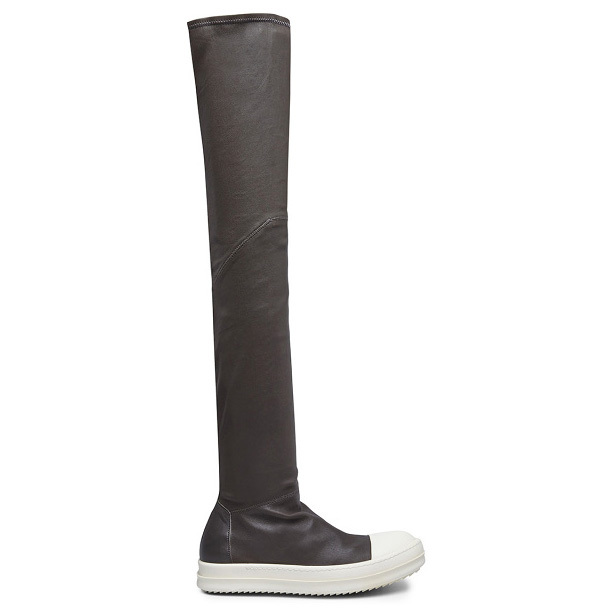 The avant-garde Rick Owens, who’s never really feared taking things to their furthest points, delivers once again with his aptly named Thigh High Sneaker Boot. 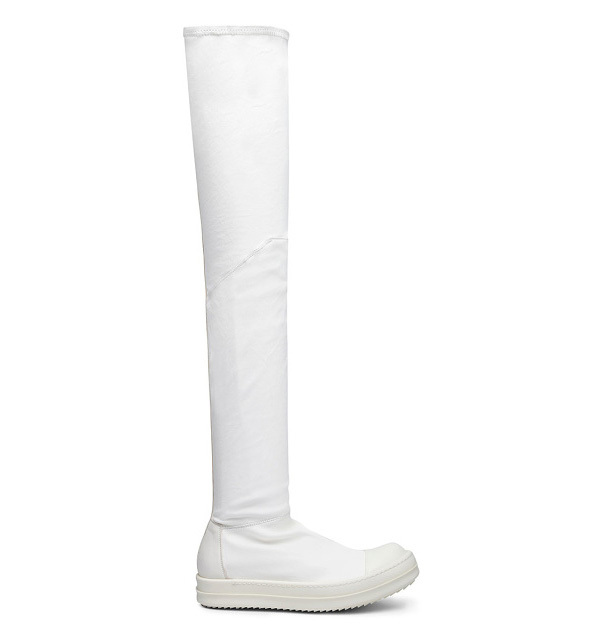 Part sneaker, part boot, part excuse to get flogged by angry mobs whose eyes burn in confusion, the Thigh High Sneaker Boot is part of Owens’ Fall/Winter 2014 collection. While we’re often on board with Owens’ “future primitivism” aesthetic, these boot/sneaker hybrids deserve to be burned and and their memories bleached from existence. Unless of course you think they’re awesome, in which case we’ll respectfully disagree and point you in the direction of their $1,300 (€1,041) pricepoint.